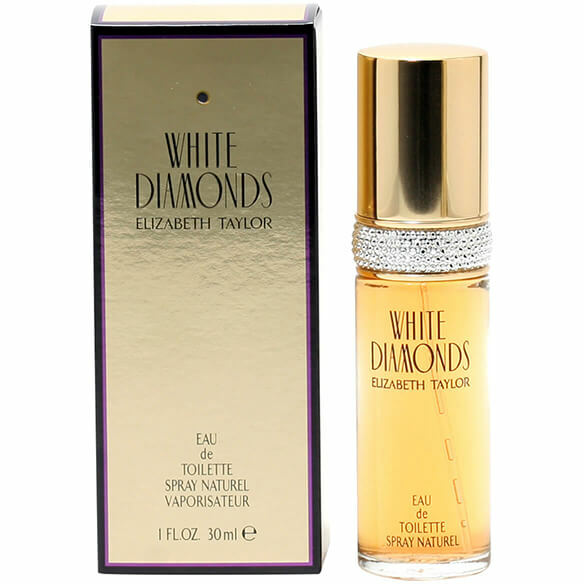 White Diamonds by Elizabeth Taylor is a testament to Elizabeth Taylor's love for glamorous things. This is a subtle, yet crisp scent of white flowers. The exotic notes deepen it's glow and make it a rich and sensual fragrance. Features top notes of Amazon Lily, Neroli and Aldehydes, middle notes of Egyptian Tuberose, Narcissus, Turkish Rose, Jasmine and Italian Orris and base notes of Amber, Patchouli and Sandalwood. 1 fl. oz. An EDT spray. No express shipping. No shipping to PO boxes. it is a great deal for this item!